We’re a dance group, we like musicians! If you’ve been to one of our Chaotic Ceilidhs then you will have experienced Chris Duncan and Catherine Strutt’s energetic style of playing. The Newcastle based duo have been exploring and performing the traditional fiddle music of Scotland since 1990 together. ARIA award winners, they have performed internationally and nationally at festivals, concerts, private functions and countless dances, and lucky for us here at Scots on The Rocks they love playing for our Chaotic Ceilidhs! Spirits soar and feet fly when Iain Mckenzie and Emma Nixon join forces to play fabulous Scottish music for balls and country dances, ceilidhs and concerts. They bring together a deep love of Scottish music and years of experience playing for dances. Their combined passion for performing traditional and contemporary Scottish music creates their signature exciting and individual style. Duncan Smith and Catherine Fraser performed at Scots on The Rocks first ever social way back in 2004. We were lucky to have them back to celebrate our 10th Anniversary Social in 2012. Strathmannan is a Canberra-based Scottish country dance band and is experienced in playing for RSCDS or for ceilidhs, weddings and other occasions. 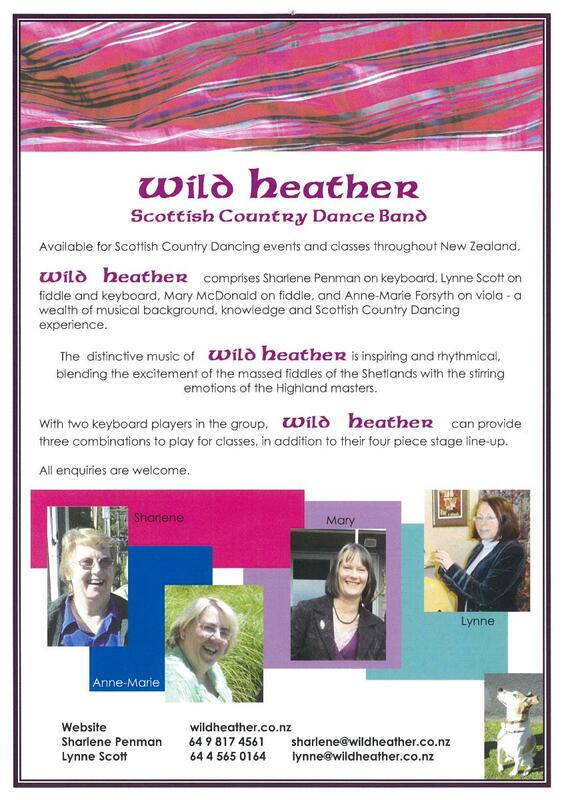 Wild Heather – Scottish Country Dance Band based in New Zealand that often tour so always worth checking.